The Best-selling Interior Steel Stairs. 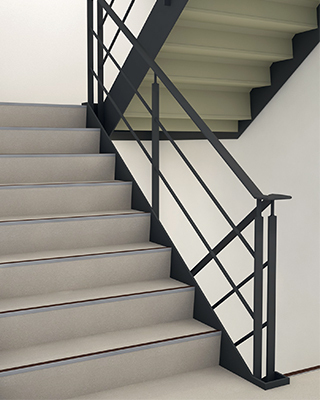 This is our best-selling line of Indoor steel stairs—it uses dual-layered treads that effectively dampen sound. These stairs are well suited for office building applications in high-rises and skyscrapers. and do not allow water to collect on them. and safe route for your work space. safely performed on these stairs. demonstrates its superior design qualities.